Photgraphed in my office by Karolina Kaczynska. Money, it’s something we never have enough of, right?! But it’s also something, I believe, we’re not talking enough about. 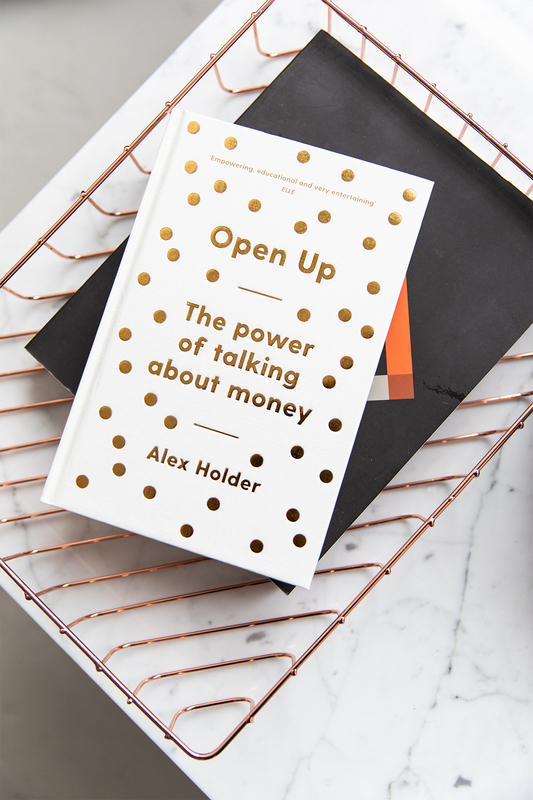 I have always been quite open about money, mainly because I have never had tons of it, so perhaps I have always felt the ‘money’ chat didn’t really ever apply to me so it was fine to be quite candid. But it is also one of the least talked about topics at the moment. This blog, funnily enough, has always been tied to money in a glossy blog-type way. 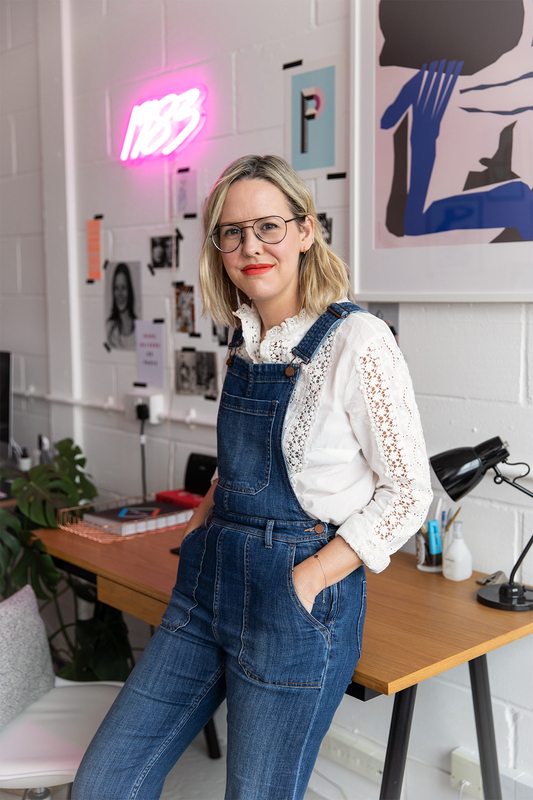 I wanted to start a website that was democratic, you didn’t necessarily have to have loads of money to be a blogger, you didn’t need the latest designer handbag and you didn’t have to be wealthy to love or understand fashion. 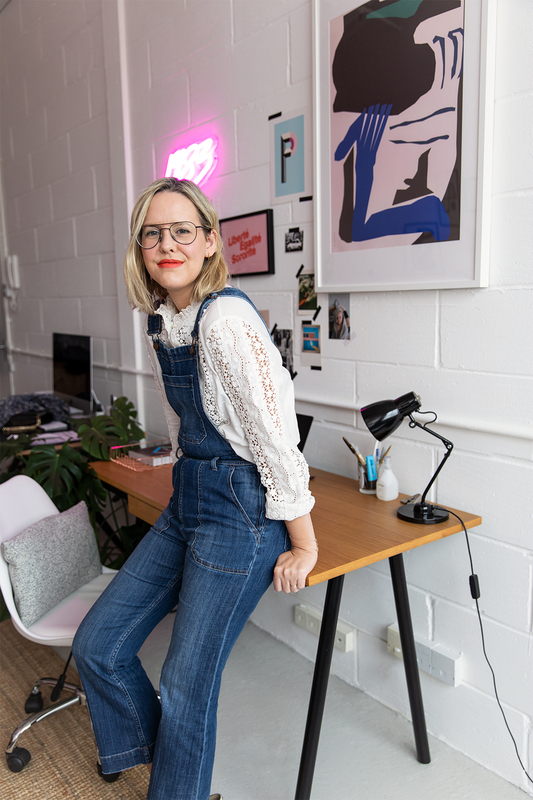 I spent years organising tickets for Fashion shows, flying to the Caribbean for work, writing pieces on the ‘must-have’ £3,000 handbag but my reality was very different. 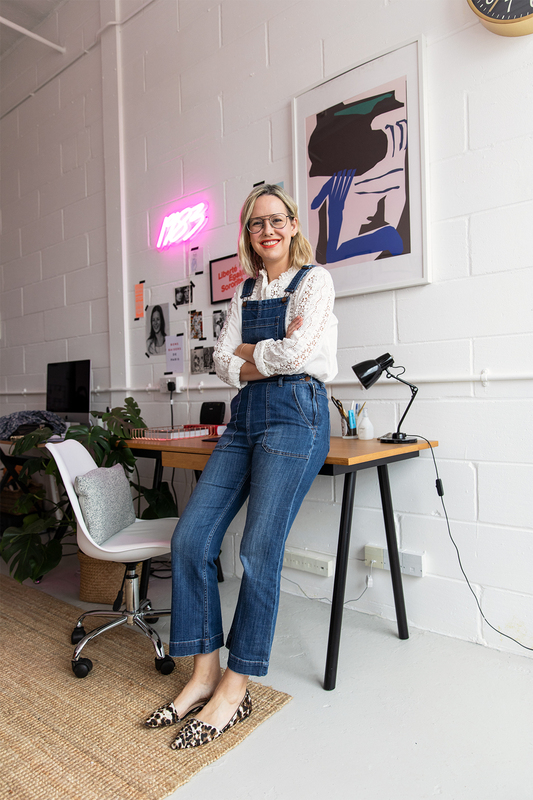 I wanted to show the invisible side of working in fashion – despite a lot of my friends thinking I was ‘living my best life’ travelling the world, I was working for very little money (I was on £16,000 per annum until I was 28 years old) and longer hours than any of my friends. I had a large debt from university, from taking time out to travel, and going on more holidays than I could afford, most of which I have only recently paid off. And it’s how the blog came about: yes, I like nice things and would save up to buy items with longevity (especially in regards to interiors) but I would save up for them, or do my weekly food shop in Lidl to make it happen (a lot of people on Instagram stories were surprised by our weekly food shopping bill of £40). But equally, you don’t have to spend a fortune on everything for it to be sustainable and something you’ll love for a long time. I wanted to take away the stigma of not having tons of money. I must admit, I have definitely changed my stance about money = success. There probably was a time when it did mean this for me (my parents were both working-class and set up a business from scratch and managed to pay for my university education and never charged me rent whilst working on internships, this freedom equalled success to me and allowed me to progress into a career that could’ve potentially been out of my reach in any other scenario). But now, the more money I am privy to, it really isn’t about that at all. So, I suppose I need to tell you what I earn, don’t I? I pay myself a salary of £30,000. I am 35 years old. I am the breadwinner. And I am the richest I have ever been. Not only because this is the highest salary I have ever been on, but also because I feel that I am in a place of comfortable debt (just one credit card of achievable payments) and can see a way to start saving for the future (we currently have no pension or savings). We have enough money to pay our mortgage, nursery fees, put money in our joint account for bills and contingency and there is some leftover for a few dinners with friends (Nando’s, but still). This is still under the average London salary. My company makes enough money to pay me more, but I honestly don’t work for the highest salary I can make for myself. 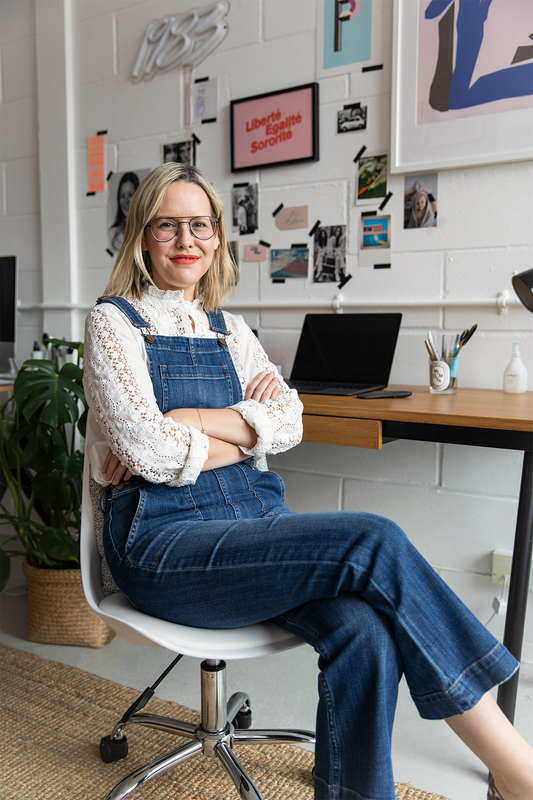 I am very happy to make enough that I feel rewards my work, especially now I don’t work evenings or weekends, but the money my company brings in goes towards something bigger – paying photographers, office staff, people to help with newsletters and creating content. Being able to use money I make to help others be paid in the creative industry (which, believe me, expects A LOT of unpaid work in exchange for coverage and exposure) is something I am hugely proud of and means the atmosphere in which I work is one of positivity and empowerment (I mainly employ women, too, so that’s an extra bonus). Working for myself has opened up my eyes to the world of money. Whilst working in publishing we would be told, in no uncertain terms, not to ask for a payrise, the current climate of magazines was slippery and we should be ‘lucky’ to have a job. I also inherited my parents’ working class mentality of graft, never show up late, never call-in sick, never ask for anything or rock the boat. Hard work will get you noticed. And it did, but not in financial terms. I was seen as integral to the team but also happy with what I had, so it was never pushed. The only payrises I received in 9 years of working were a £100 voucher after an appraisal (the voucher was for Sainsbury’s, and I was thrilled! We bought loads of food and shoved it in our freezer), or when I threatened to leave. It wasn’t even a bargaining tool, I had just had enough but miraculously the money appeared. But it was also always tied to a promotion, I honestly don’t even know how I would ask for a payrise for doing the same job, I was just taught it wasn’t something you could do. I wish I had read some of the articles and books that are available now about asking for what you want, understanding your worth and feeling confident with it. It wasn’t until I went freelance and had an agent that I began to understand what others with my experience were being paid, and I must admit I felt a bit of shame and low esteem. Not because I wanted more money but because I realised I had devalued myself. Always working in a recession meant I had always worked three people’s jobs (with a few on the side), so I took that mentality to freelance and almost burnt myself into the ground again by trying to be everything. I get asked a lot by people, to my face: ‘But how do you make money?’, I suppose it is a strange new career, but I also find it quite rude. It’s not that I don’t like discussing the mechanics of making money and running my own business, it’s more the accusing tone of the question, as if my ‘silly little job’ of posting pictures online isn’t worthy of a career (but perhaps that’s my own insecurities). Most people, would never dream of asking say, a doctor, or a lawyer ‘how do you make money?’ becasue it’s something they understand. But in fact, I shouldn’t have a problem with people asking because it is helping to open up a conversation and allowing people to understand something that they are unable to grasp. For those who don’t understand, it is very similar to a magazine. I run an editorial platform which has readers and my advice is a trusted part of my site, I recommend products and from time to time, a brand will ask me to work with them to promote a product within a paid partnership (this is never random, and always a brand I have worked with in the past, the payment will generally be because it’s a focused post, or there is a specicifc product the brand want to push). These are essentially advertorials: I have creative control but will often need to gain the brand’s approval before publishing. 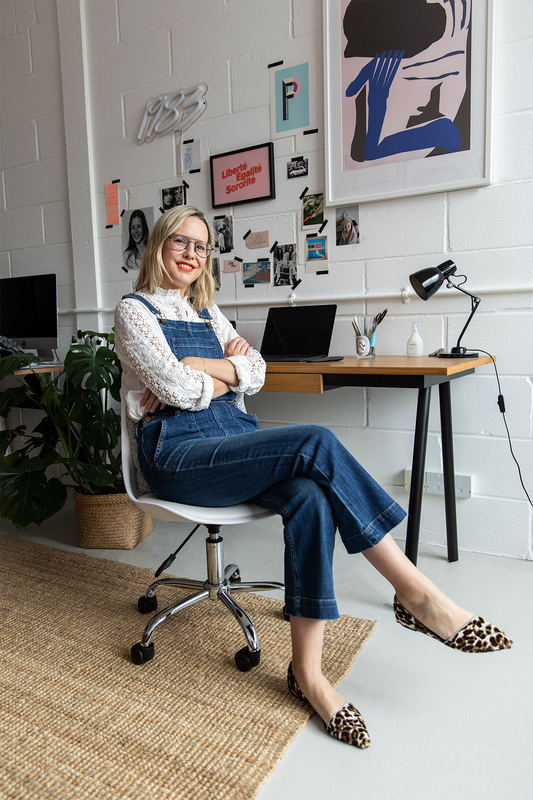 I also earn money through my styling work: I style campaigns for brands, I write for magazine, consult for brands and sometimes create imagery for them to use on their channels. I am also working on a few other projects, namely a downloadable mini book on money and budgeting. 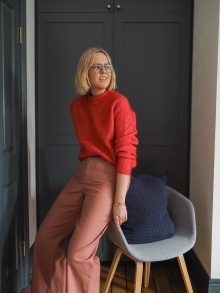 It’s about how we budget as a family, how we save money on our food shopping bills, tips for selling items second-hand and at carboot sales with some memoirs on money and how it makes me feel all thrown in. I’m still working on it and you can sign up to read it (when it launches) here. To be completely transparent, this will be something to ‘buy’. I have long battled this idea with myself, but it has taken me a few months to put it all together, I’m giving away a lot of myself in it and realistically, if I’m talking about money, my time and my worth, I actually cannot give away this e-book for free. But it’s extra content, it won’t cost loads and if you’re here for free content then I would recommend going through my last 7 years of archives on this blog. So there are some thoughts in a nutshell. I feel that social media is starting to create a huge barrier between women especially, especially with money, driven by a lot of assumptions and judgements (I have, sadly, been partial to it, too) and I honestly believe the more discuss issues we face, then there would probably be less comparison and we can help each other ask for more and understand our worth. Sign up here to be the first to access my guide when it comes out. buna! imi place foarte mult camasa. deunde poate fi achizitionata? This was such a great post, Alex! I think it’s so helpful to be open and talk about money. It’s so easy to make assumptions about others, but really, I think everyone is trying to figure it out and an open dialogue helps everyone to learn from one another! Look forward to the mini e-book! Absolutely brilliant Alex at last some honest discussion. It drives me absolutely mad that some fashion sites/blogs etc assume we are able to afford very expensive things all the time. I have 2 degrees, 3 post graduate qualifications and am a senior accredited counsellor and earn slightly more than you but as i do four days not five it works out about the same. I’m at the top of my profession as a counsellor in the third sector so this is the most i will probably ever earn. I love fashion as you know and don’t live in London which helps make life cheaper. I am never going to spend thousands on a forever bag (or whatever) but i do want fashion journalism that speaks to me and doesnt assume that on my income I must be very young and shopping at Primark. I love this post, thanks for sharing. Recently I was at a IWD event and a financial advisor said that self care should be women looking after themselves financially. Understanding budgeting, pensions and tax, before putting a bath bomb in a tub! This has stuck with me. When I grew up we were told women weren’t meant to understand and it was ‘cute’ to not know these things. Don’t ask for a raise or promotion etc. Times are changing for the better. Great post – thank you for your honesty. Do you mind me asking – as a fellow Londoner on a very similar wage – how did you manage to get a mortgage? My salary is too low to get one, despite good savings. Did you have help from parents? Thanks, and hope that’s not a cheeky question! Great post! Money is a subject that people don’t want to discuss, whether they are poor or rich or somewhere inbetween. I never pay full price for anything ( either sale, discount code, freebie). I shop at Lild and Aldi. We struggled so much when we were younger so I try and be careful but wasn’t as careful as I should’ve been in my 20s/30s. I still struggle but am not in debt and have some savings. Thank you for sharing this. It really did make me feel better about how I deal with money but also where I am financially in relation to my career.